EASY WEAR AND LIGHTWEIGHT: STABIL’s proprietary Thermo Plastic Elastomer (TPE) provides a fl exible, lightweight, all-day traction solution. 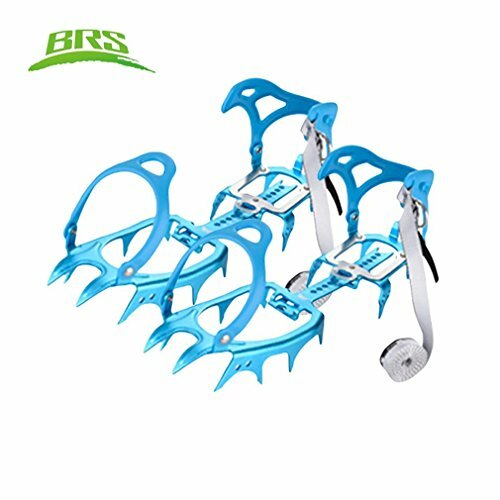 They fit easily and securely over your own shoes or boots and fold small enough to keep in a pack, purse or in your car. Go about your day with peace of mind, no matter the conditions, with easy-to-use STABILicers Walk. 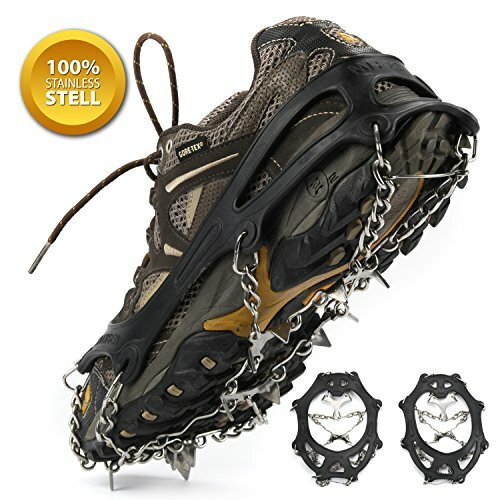 The multi-directional cleats allow you to stride naturally whilst providing unbeatable traction on ice and snow-covered pavement and gravel. 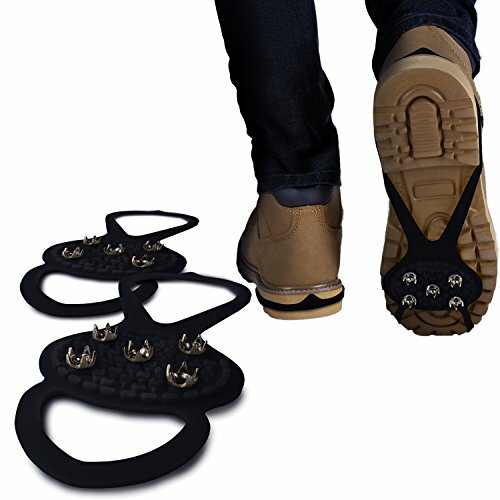 These industrial-strength traction-aids are built to get up to hard use, saving money whilst preventing injuries. Everyday chores like walking the dog or shoveling the driveway turn into much safer and more enjoyable. At STABIL, stability, traction and performance are more than just product attributes; they’re words we live by. Each day. Only through stability can a company earn the accept as true with of its customers. Only through traction can our hard work and efforts be realized. And only through the performance of our dedicated employees are we able to all prosper. Proudly made in Maine, USA for over 25 years, our decision to produce our own products in the USA is based on plenty of factors, yet most importantly, our own values. The bottom line is that our quality and service remains without compromise; thus yielding a true reflection of who we are as a company and people. Go about your day, no matter the conditions, with easy-to-use Stabilicers Walk. 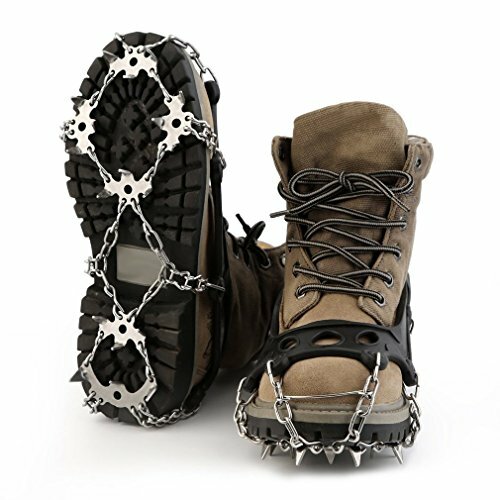 The multi-directional cleats allow you to stride easily whilst providing traction on ice and snow-covered pavement and gravel. SCROLL DOWN TO RELATED VIDEO SHORTS FOR MORE! STRETCH-TO-FIT: The Walk utilizes a tension fit system to fasten securely on any shoe. Keep in mind the Walk may look smaller than your actual shoe size, but are designed to stretch considerably to fit accurately over your shoes or boots. 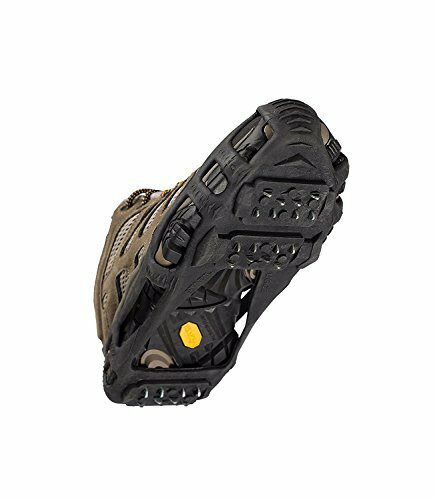 Made In USA: Designed and manufactured in the USA to the highest quality and performance standards, the Walk offer a safe fit for shoes and boots and are easy to pull on and remove. Dependability when you wish to have it most, designed for years of use.